Tout de Suite Buttercup! 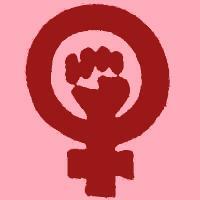 : Happy International Women's Day! March is Women's History Month, and today, March 8th, is International Women's Day! I haven't decided yet what I am doing in honor of it, other than to take time to acknowledge that as a feminist I am part of the larger struggle being fought by women of all backgrounds across the world for equality and a better life, and to think about what I can do to contribute more to those efforts. I try to contribute to the fight to advance women's rights where I can, usually in the form of pro bono work (for all you non lawyers, that's unpaid work usually done for the "public interest"). I work on asylum cases that help women who have been persecuted in their home countries. I also represent women who have been battered in judicial proceedings. Usually, specially when I win, I find that type of work inspiring and fulfilling, although it is of course difficult to deal with the pain and injustice that my clients have had to endure. The main aspect that I find dissatisfying is that my work, when it is successful, only goes to help my individual clients and does not contribute to making systemic changes that could eliminate the chance of other women having to endure the same difficulties as my clients. When my work is unsuccessful, it is also incredibly frustrating, and far too often the system seems blatantly unfair and far too incompetent to deal with the problems (such as domestic violence) before it. Too often it seems like we (all women fighting for equality) are all fruitlessly running around on hamster wheels desperately grabbing for crumbs (whether that be a limited amount of aid money for the same hot topic, or sporadic wins in a cultural sea of increasing religious fundamentalism and conservatism), when what we really need to be doing is jumping off the wheels and ripping them from their moorings and creating new systems. One of my main frustrations with my current position at my firm is that the time and effort that I can devote to work about which I am passionate, such as women's rights work, is extremely limited. The reality is that firms are businesses and they are, not surprisingly, in it to make money. When I started, I believed the hype about their committment to the public interest and pro bono work. Now I know that it was all puffery for the most part. Yes, the firm "supports" pro bono work and likes to get recognized for its efforts in that area, and for the time that its associates and partners spend on pro bono work, but given a conflict between pro bono work and work that needs to be done for a paying client, the paying client wins out. Often, to do my pro bono work I needed to work well beyond my billable hours so that I completed all of the work for the paying clients of the firm before I turned to my pro bono work. I don't have sour grapes about this, just a touch of disillusionment. Many associates in my position would no doubt be satisfied with this system, that enables them to fit small amounts of pro bono work into the miniscule cracks in their overloaded schedules. However, I'm not one of them, because the small amounts of work that I do that I love are simply not enough. They are not enough in terms of contributing to the larger struggle for women's equality, and they are not enough for me. I'm not satisfied with crumbs of inspiration, in a working life devoted mainly to the defense of the silk-lined pockets of wealthy corporations. Because not only am I not doing enough, what I'm doing (working for the man per se) is not only failing to contribute positively, it is most likely making things worse. At the very least, it's doing nothing to challenge the status quo. I forget who said, "If you are not part of the solution you are part of the problem." I believe that's true. It weighs on me that by working in my current position and not being part of the solution, I am in fact part of the problem. But enough of my introspection, feelings of privileged guilt, and fear that all the potential I have will continue to be wasted in doc review and monotonous meaningless research. I'm trying to change and become part of the solution, both for my own happiness, and hopefully, so that I can make a larger contribution to what I believe in: the fight for women's equality. Getting back to International Women's Day, for a brief history of International Women's Day, check out the National Women's History Project. I think it's great that you want to be part of the solution. I'm sure you'll figure out a way to contribute as much as you want to. Just don't let The Firm put those golden handcuffs on you! And thanks for your comments at my blog. I'm so glad to meet you! I felt the same way when I was at my old firm (which I left to stay home with my son). It felt like it just got harder and harder to justify spending 95% of my time on making giant companies richer just so I could spend 5% of my time helping people. And the two felt like completely different jobs.